Let us light your way to a smooth closing! 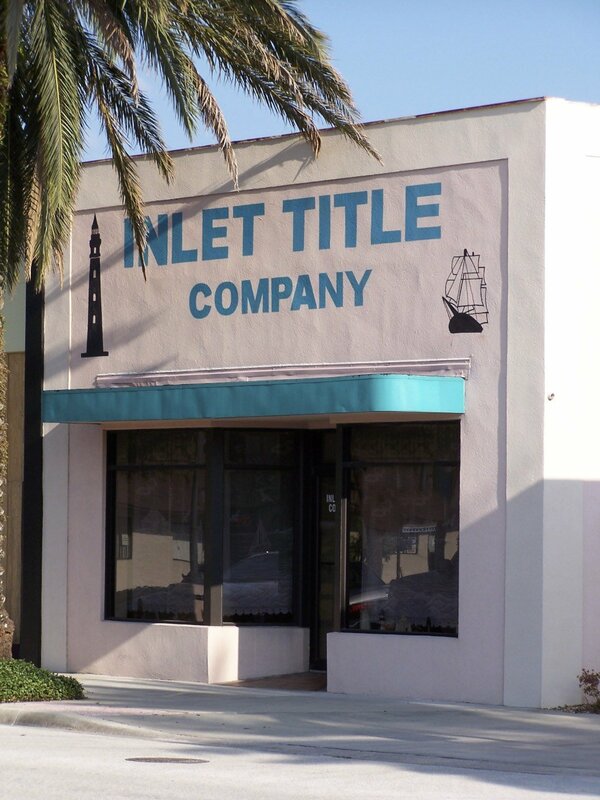 Inlet Title Company, Inc. has been locally owned and operated in dowtown New Smyrna Beach, Florida since 1986. It has assisted customers with real estate transactions throughout the state for nearly 30 years, offering comprehensive services, exceptional customer service and unmatched rates for the sale, purchase or refinance of residential and commercial properties. In fact, Inlet Title Company offers the most cost-effective fees in the area, which results in more money in your pocket at the time of closing. Inlet Title Company President and Closing Agent Kay Sikes is fully licensed and bonded with the State of Florida and is backed by Chicago Land and Trust Company, a leading title insurance underwriter with 150 years in business. She is active in the local community and is a member of the New Smyrna Beach Board of Realtors and New Smyrna Beach Chamber of Commerce. It is because of its superior expertise built on three decades of experience, friendly staff, competitive rates and commitment to the community that Inlet Title Company has been named the Star of the South Best All-Around Title Service every year since 2002, as voted by the readers of the New Smyrna Beach News Journal. Please feel free to stop in with any real estate questions or to learn more about Inlet Title Company's exclusive fees. Let us light your way to a smooth closing! © 2016 Inlet Title Company, Inc. All Rights Reserved. Photography by Tiffany Scalone. Any use of photos without written consent is strictly prohibited.